Long-running UK reggae act Steel Pulse will release their first LP in 15 years, titled Mass Manipulation, out May 17 via Rootfire Cooperative/Wiseman Doctrine. The band has tackled many socio-political issues within their music in the past, and this new record sees them taking on the wilder political landscape of today, with frontman David Hinds saying, “We cannot abandon the future that our ancestors have struggled for.” The band also has some West Coast dates behind the LP stretching into the summer, including a previously-announced appearance at Virginia’s Lockn’ Fest in August, and other stops in cities like Seattle, Las Vegas, San Francisco, Vancouver, Salt Lake City, Portland, and more. Find all upcoming dates here, and listen to the band’s newest single “Cry Cry Blood” below. Jazz bandleader and trumpeter Christian Scott aTunde Adjuah’s stunning, Afrobeat-inspired new LP Ancestral Recall is out today, and he has upcoming tour dates in support of the record. He begins a three-night run in London tonight, before heading to this side of the Atlantic next month for a pair of dates in NYC and Los Angeles, with further North American dates happening in Chicago and Montreal this summer. The NYC show is at Harlem Stage on 4/12 and it’s a mini festival/showcase for Christian Scott’s label Stretch Music, featuring Ancestral Recall contributors Saul Williams and Logan Richardson, as well as Freelance. Christian will also be making stops throughout Japan and China in June. All dates are listed here. Speaking of new albums out today, Brooklyn-based project Dark Tea (real name Gary Canino) released his self-titled debut LP this week, which features tons of sweet, psychedelic folk-pop tunes. Dark Tea play a release show in Brooklyn tonight at Union Pool tonight (3/22) with Public Practice and Spirit Was. Dark Tea will then head out on tour — upcoming stops include Kingston, Philly, Washington D.C., Chicago, Milwaukee, St. Louis, Nashville, Atlanta, and several others. Check here for all dates. 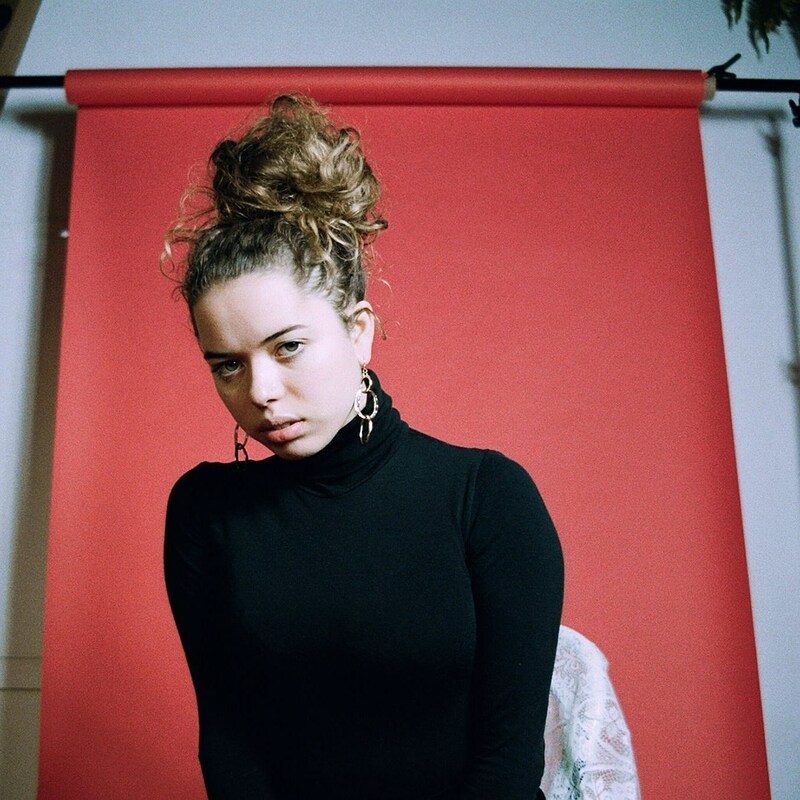 Another notable release out this week is Nilufer Yanya’s solid debut LP Miss Universe, which capitalizes upon the hype she’s been steadily gaining over the past two years. She spent last month on tour with Sharon Van Etten, and she’s recently added some new US dates in July to her own headlining tour. She’ll be joined by fellow UK act Pixx (who is signed to 4AD) on this tour leg, which begins at Brooklyn’s Rough Trade on 7/23, before other dates in Washington D.C., Cleveland, Toronto, Chicago, Detroit, and Columbus. You can view those new dates listed here. Jazz/ambient songwriter and multi-instrumentalist Joseph Shabason is preparing to release Anne, EP on May 10, a five-track release consisting of outtakes that didn’t make the cut of Joseph’s 2018 LP Anne. One of these new songs features Destroyer’s Dan Bejar, who Joseph has worked with many times in the past. Joseph was also recently added to Jessica Pratt’s North American tour, with the two playing together in cities such as Philly, NYC (Park Church Co-Op on 5/19), Washington D.C., Montreal, Allston, and Toronto. Jessica’s tour also includes some West Coast dates in April with Business of Dreams. Head here for all upcoming Jessica Pratt dates, and hear Joseph Shabason’s “1517” from Anne, EP below. California garage-psych outfit Mystic Braves are continuing to tour behind last year’s The Great Unknown, and today they’ve announced a full North American tour happening this summer. The tour kicks off in Santa Barbara, before tons of other stops in Tucson, Austin, Brooklyn (Rough Trade on 6/13), Philly, Cleveland, Washington D.C., Chicago, Denver, Phoenix, and many other cities. Tickets to all shows are on sale now, and you can find the full list of dates here. Andrew Bird’s newest LP My Finest Work Yet is out today, and he’s just announced a North American fall tour that includes runs with Chicano Batman, Yola, and Meshell Ndegeocello. Jerry Seinfeld has added more shows at Beacon Theatre this fall, including a few where he’ll tape a new Netflix special. The legendary Killing Joke have expanded their 40th anniversary US tour, with new stops in Brooklyn, San Francisco, West Hollywood, and more. Although Paul Simon has retired from touring, he added a special one-off appearance at San Francisco’s Outside Lands in August. The rest of the fest’s lineup is still TBA.